Dashboard always gives a easy and quick access to all the key metrics. Wherever and whenever you are. From enterprise softwares, Google Analytics and Facebook Ads Manager, and even popular blogs such as WordPress and Medium. 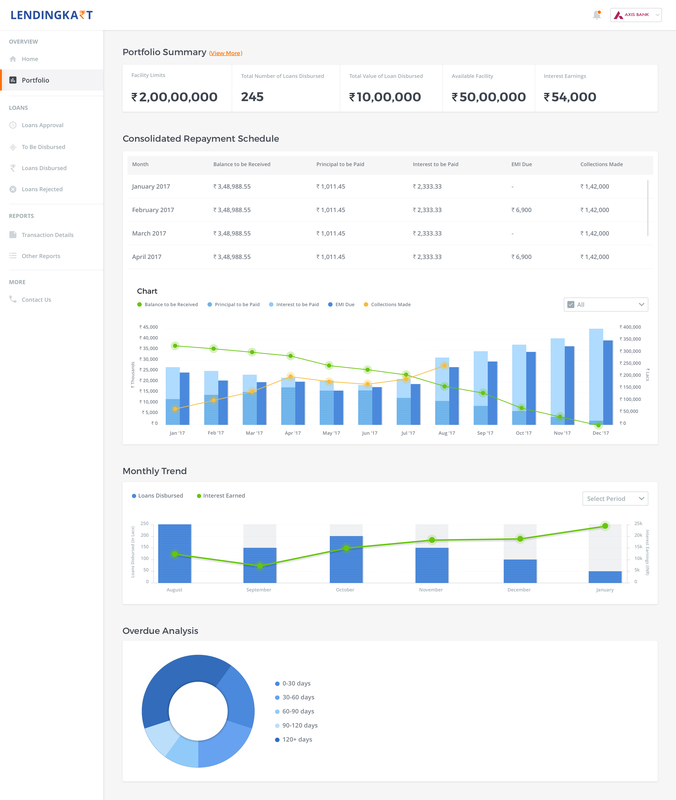 Based on the data coming in from the analytics industry, dashboards are going to become increasingly important. Visual presentation of the information on the Dashboards and the design choices considered may seem arbitrary, such as the colour of the background display or the size of the logo, but almost every single decision can potential make, or ruin the viewing experience. We need to take a step backwards and identify the design pitfalls and plan. 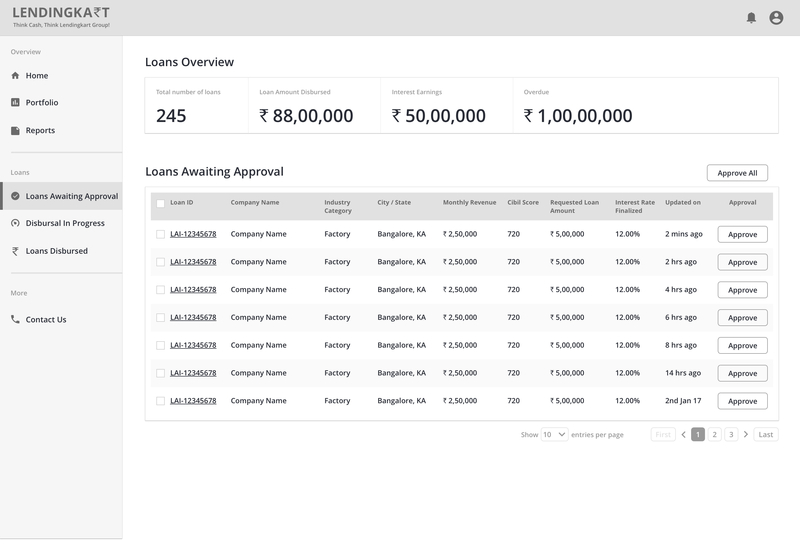 Lendingkart wanted to build a dashboard platform where the investors like banks and private finance companies who have partnered up are going to invest a certain amount of money and link them to the loans being applied by the borrowers. We provide the investors with login credentials through which they can review loan application and approve. 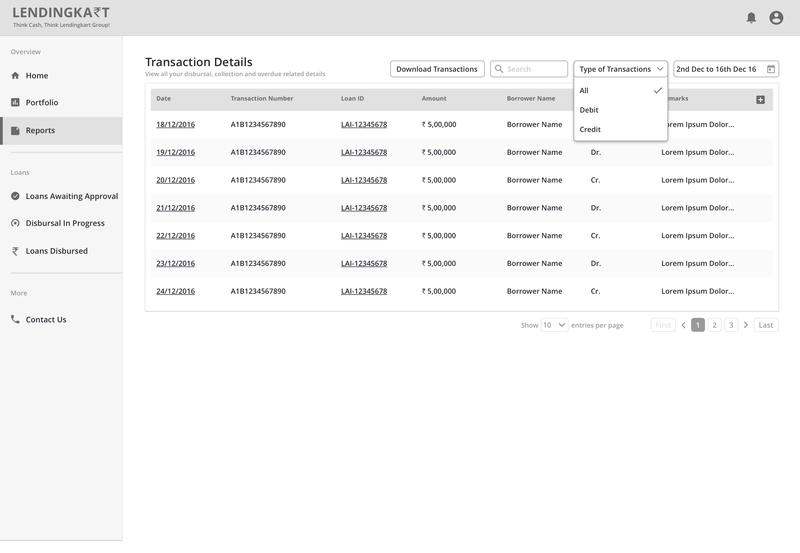 Users can navigate to different sections by clicking on the menu options. 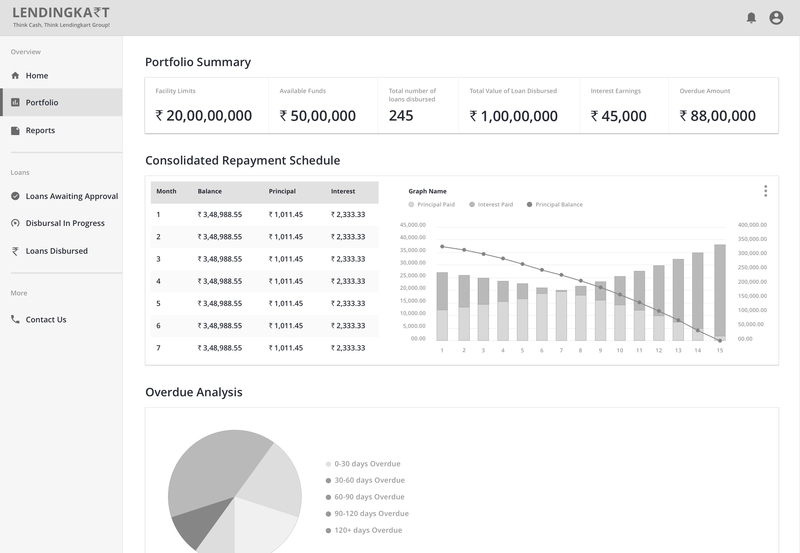 Users can add a certain amount of funds to start off with which works as a investment for future loan requirements. 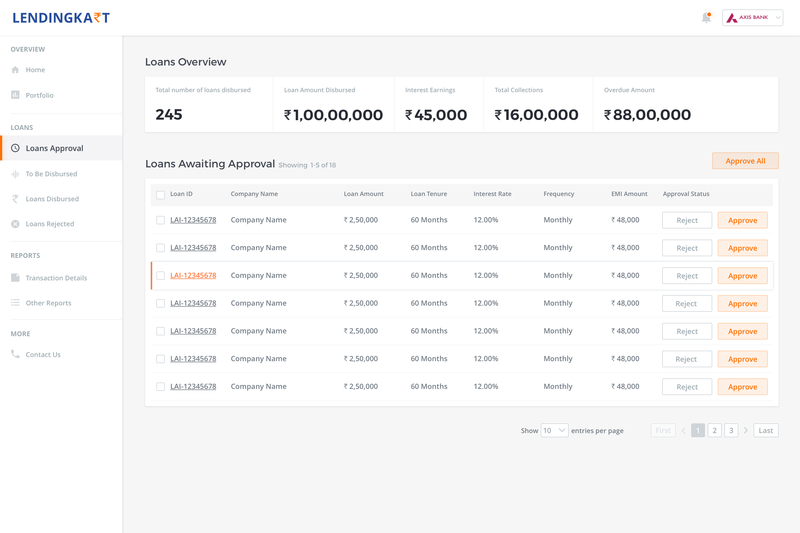 User can see loans, interest accrued, check transactions, disbursal date, and CTA’s which can approve the loan of the applicant after checking all the submitted documents. 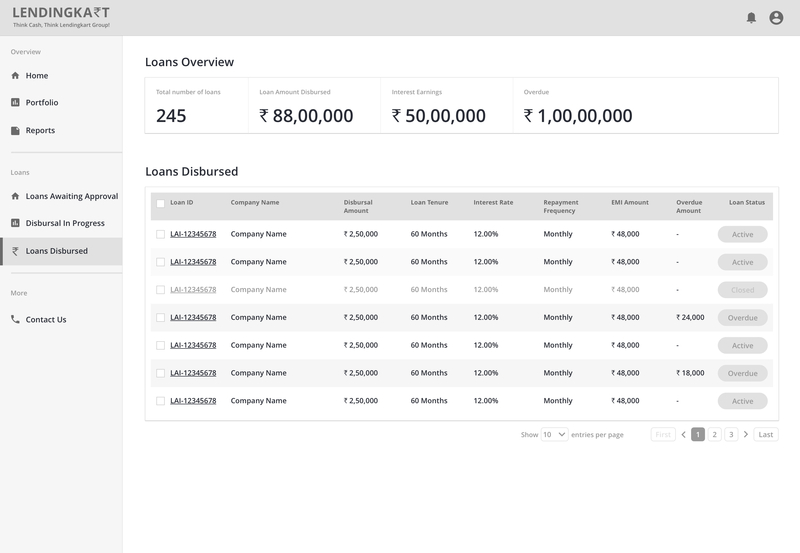 Here is how the story goes -> Story is that the borrower applies for loan on LendingKart website -> Lendingkart evaluates the credit strength -> shows it to the Lendingkart partner on dashboard for approval -> Loan is debited from Lendingkart partners account. The main goal was to provide the information to the user at all times about the borrowers and applicants and the disbursed loan amount . For that purpose we decided to provide ability to customer for quick and easy navigation to access the information. We approached the design stage with widget system, because that was basically the key content of the main screen. We broke down the information display into sections and grouped them accordingly. 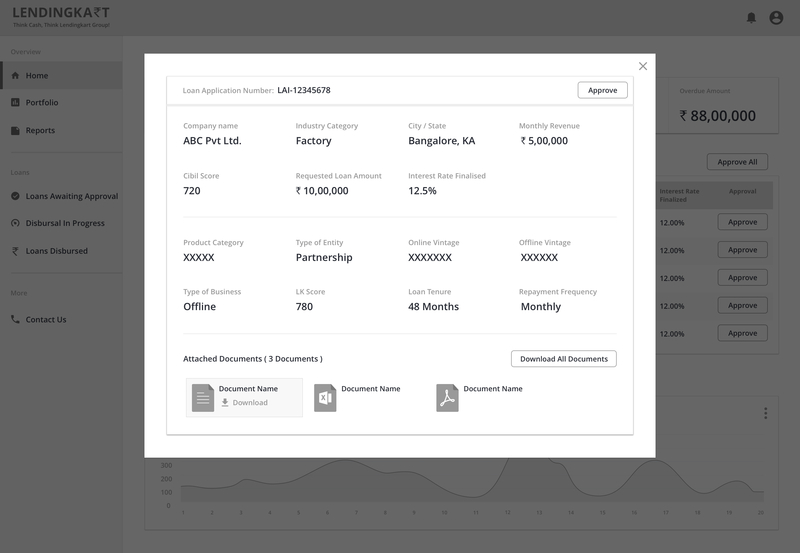 We captured all the features in the IA (Information Architecture) stage itself to make it more easier to shift to the wireframe stage. Initial step was to start working on the paper sketches to structure the layout and map the features. It was fast and focused on concept rather than detail. After receiving a thumbs-up on the initial low-fidelity prototypes, I transitioned to higher fidelity. I thought of using the layout structure to keep as the foundation on which the design and business concepts would evolve. 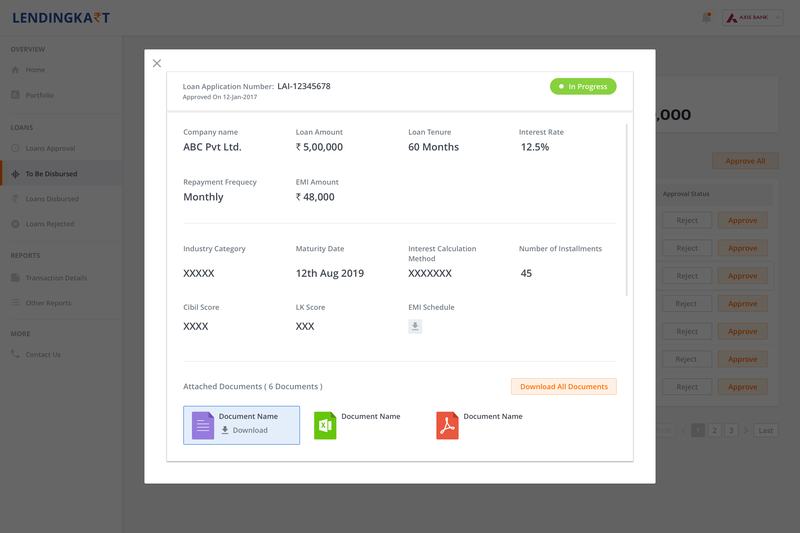 I worked closely with the product managers to gather the information of context and content so that we could design the interface according to the content rather than inserting the content into the design as an afterthought. 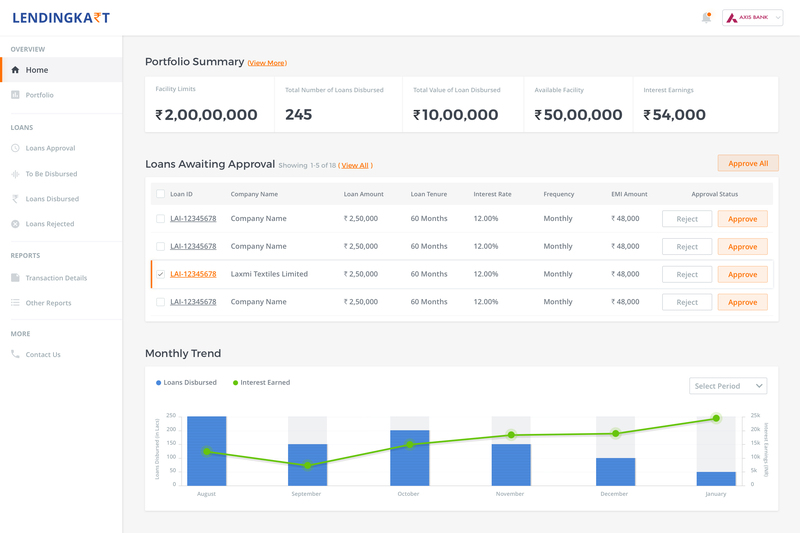 Dashboards showcase the refined data in a structured manner, lot less clutter, noise, lot more focus on actionable metrics. Goal was to choose the right visualisation for each metric. Choose the right graph which are simple, easy to read visualisation types. Idea was to show the data and not distort it. Let the information be the focus, not the visualisation treatment of it. To provide enough supporting information for the data to be actionable. One major approach I considered was to design to focus on personalisation. Followed the branding and kept the layout clean and white to improve user engagement by letting the user focus on the content and preferences. 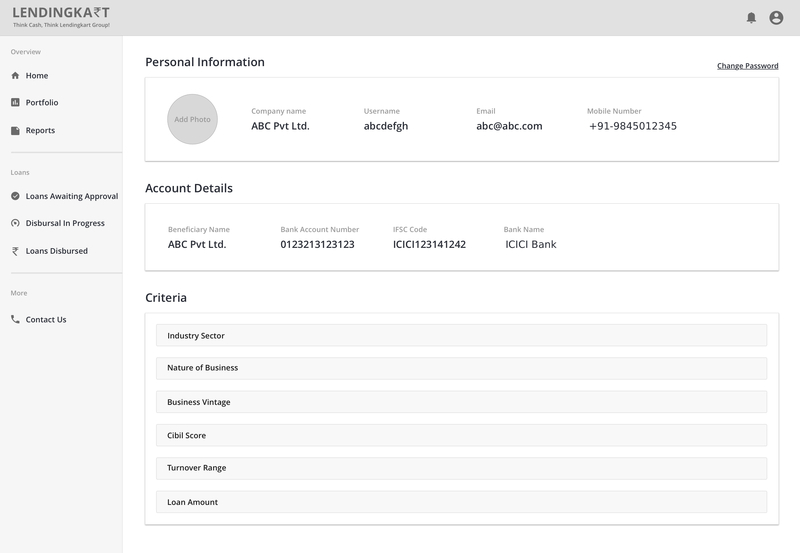 Having summary visible on top of screens was one of the most interesting features and experiences within the dashboard. 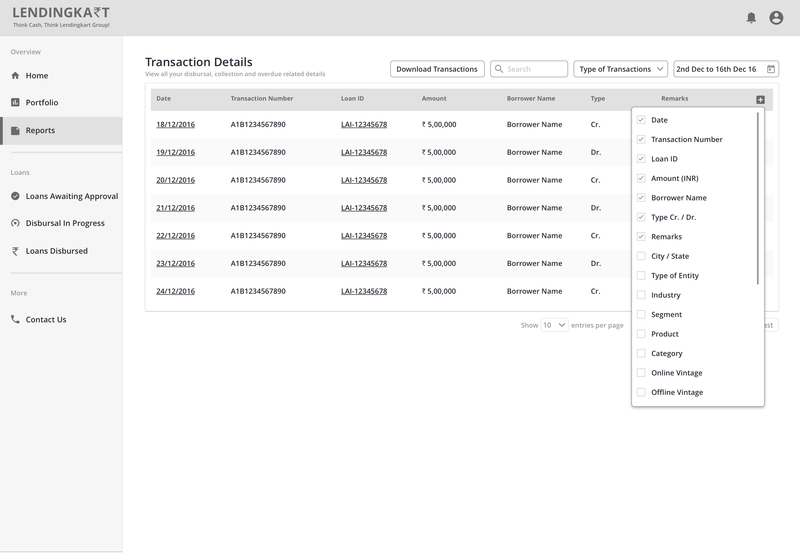 Ultimately, they’re placed there to show overall information at all times which users rely on. 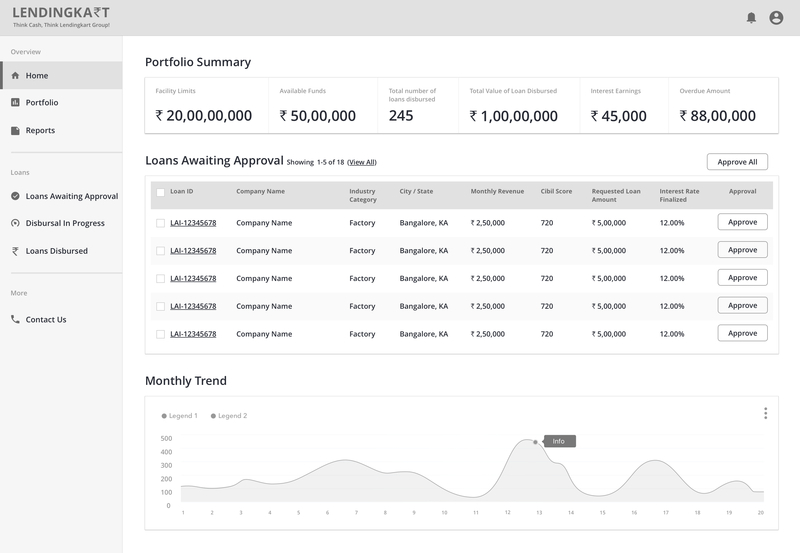 Here’s a glimpse into the virtual Dashboard look and feel, this was arguably the most important and complex part of the app, to make it visually, aesthetically engaging, so we put a lot of time and thoughts into getting it right.